Located in the growing Sydenham restaurant area, Casbah on Colombo is a popular establishment serving Moroccan food at great prices. 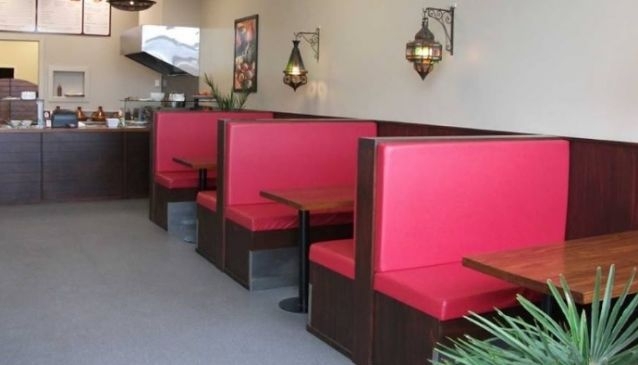 The interior is simple with booth style seating, with the focus squarely on the food. The portions are generous and the menu includes many traditional choices such as tagines, with the lamb being a popular choice. The restaurant and take away specialises in souvlaki, and hot salads with a choice of meats including chicken and beef. A vegetarian falafel option is also available. Turkish delight is offered to diners to finish their meal on a high note. The venue is not licensed and serves non-alcoholic drinks only.